The Tauriko for Tomorrow information days held in May 2017 attracted more than 700 people over the two days. 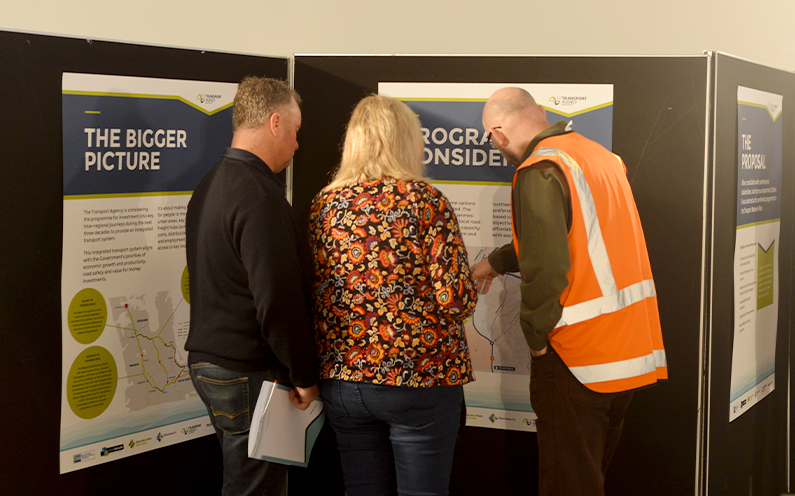 The partners, Bay of Plenty Regional Council, Tauranga City Council, Western Bay of Plenty District Council and the NZ Transport Agency, were delighted at the fantastic response from the community. We received 114 responses on the survey and we thank everyone who participated and attended the information days. As well as the formal responses to the survey, feedback was collected during the sessions, from people who were very passionate about their community and able to provide local knowledge to the team. The key themes that have emerged from the feedback emphasise how important it is to preserve and protect the local environment and rural nature of the wider area, and enhance community facilities. Whilst Tauriko West will be an urban environment with adequate green space, the team have taken on board the necessity to recognise the wider rural environment of the Wairoa River Valley. Building a community at Tauriko West requires changes to the Regional Policy Statement and City Plan, improvements to the transport network (including State Highways 29 and 29A), as well as an alteration to the councils’ boundary. Tauriko West, on the edge of Tauranga City, is set to become one of the western Bay of Plenty’s next growth areas. A long term plan is underway that looks at how best to develop the new community, improve transport links and open up the area for urban development.